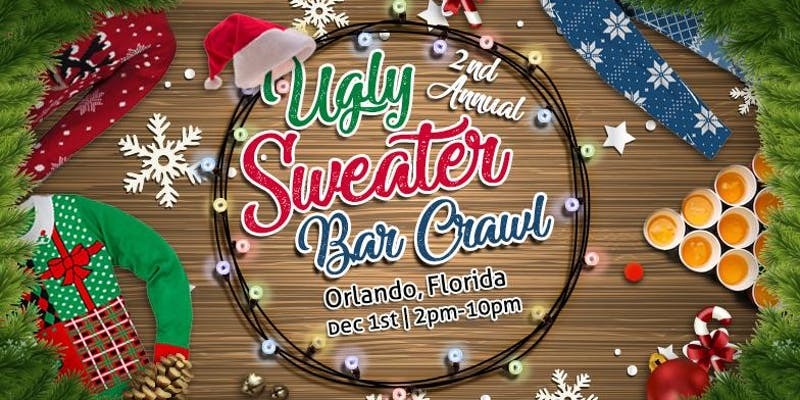 The 2nd Annual Ugly Sweater Bar Crawl is here and we want the city of Orlando to join in on the fun. Get that Goodwill sweater, find those tacky holiday pants, and get ready to jingle bell ROCK! Includes all of the above and our Ugly Sweater Crawl T-Shirt. Shirt shown below.